children and teachers by a team of dentists from IGIDS. 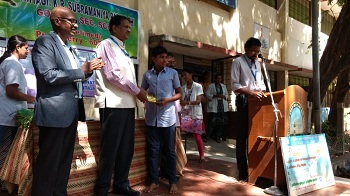 Dr S. C. Parjia distributed prizes to the school children participated in the drawing and quiz competition. In this program, around 400 school children participated and benefit from the program.